Marvel Studios has brought in a lot of different writers to work on the screenplays for their feature films, but Christopher Markus and Stephen McFeely have proven to be two of their most reliable guys. They earned critically acclaim for their first work with the company, Captain America: The First Avenger back in 2011, and have translated that success into two more gigs, scripting both Thor: The Dark World and Captain America: The Winter Soldier. They have a unique insight into the way things work behind the scenes of Marvel, and as a result I was excited to pick their brains when I recently had the chance to interview them about their latest feature. How do big picture ideas at Marvel have an effect on the creative process? How did Chris Evans’ celebrity influence the latest portrayal of Captain America? How and when did Black Widow find her way the movie? These were just some of the subjects that I talked with Markus and McFeely, so read on to find out the answers! Marvel Studios prides itself on focusing on each of their films as individual stories within a larger universe, but there is always a bigger picture involved. Each solo film is meant to in some way bridge the gap between Avengers film, be it Tony Stark destroying all of his armor in Iron Man 3 or Thor returning to Earth to be with Jane Foster in Thor: The Dark World. Because of this, part of a Marvel screenwriter’s job is to write to certain plot points – and that meant partially working backwards. 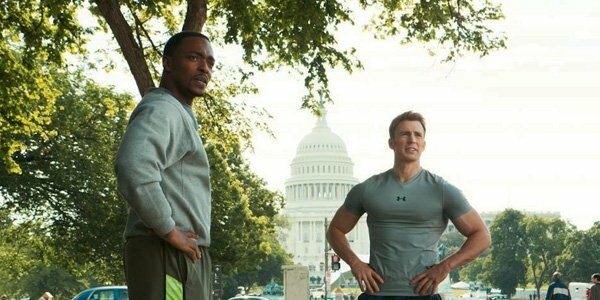 In the case of Captain America: The Winter Soldier, Markus and McFeely didn’t have to write towards a specific plot, but instead a very vivid concept. During the early stages they were given an idea from the higher ups at the studio to include an explosive third act element, and once that entered the mix they began working the plot in that direction. "Sometimes it’s just images," Markus told me during the interview. 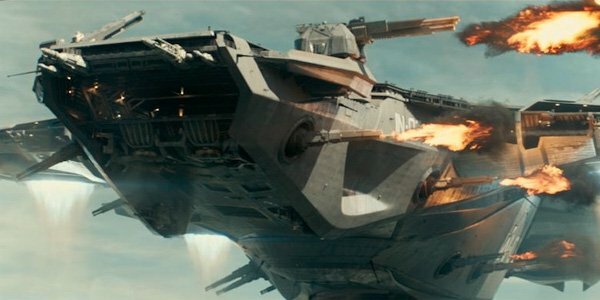 "[Marvel Studios President Kevin Feige] wanted helicarriers crashing. So, we were like ‘Okay, if helicarriers are going to crash in the third act, what kind of story would you tell to get there?’ and that kind of generated the whole inside program in the story." Looking back on the last 75 years of Marvel Comics, you discover that there is a lot of really strange stuff. Not only are there some massively convoluted cross-over stories and bizarre costumes, but there are also characters who are just straight up weird. It’s the great comic book movies that are able to take these more unconventional or unrealistic elements and find a way to translate them for live-action, and it was definitely a challenge that Markus and McFeely faced in writing Captain America: The Winter Soldier. So what is the trick to handling that kind of material? "A lot of it is visual presentation," McFeely explained, stressing the importance of context. "If the set can be designed or the costume can be designed where you’re like, "Okay, I can get how that works,’ whether or not I understand [it], the things I see all make sense." While I don’t want to spoil Captain America: The Winter Soldier here – some moments are best first experienced on the big screen – there are definitely some elements from the comics that will make drop long-time fans’ jaws. You are all in for a treat. When I had the chance to speak with Markus and McFeely back when Captain America: The First Avenger was coming out in 2011, they were working on a much different idea for the sequel than the one that they ended up going with. 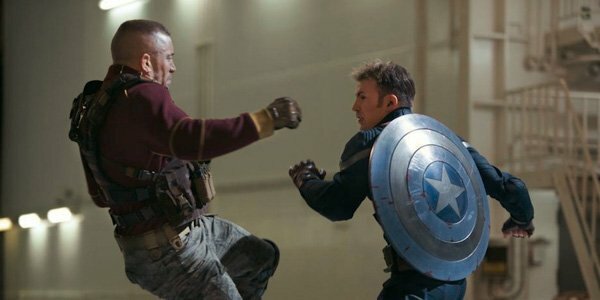 The duo was originally planning on including multiple flashback sequences that tied modern day events to what happened with Cap during World War II, but as the plot evolved and the script took form, that element was introduced to the ‘Delete’ key. Once they had settled on the conspiracy movie model, in order to maintain a dense, tight story the screenwriters were forced to get rid of any kind of distracting narrative device that would take away from the suspense of the plot. But while losing the flashbacks was hard, changing things around also opened the door to include Scarlett Johansson’s Black Widow in the film –allowing them to both capitalize on the success of The Avengers and add an extra dimension to the main character. "It helped for the conspiracy," Markus said. "We needed somebody partly for the conspiracy and partly for Steve’s arch. She operates in sort this moral grey zone and he doesn’t and that was a great way to sort of bring all of that out." One of the strongest aspects of Shane Black’s Iron Man 3 was the way in which the film handled its characters in a post-Avengers world, with Tony Stark dealing with some serious post-traumatic stress as a result of the Battle of New York. Captain America: The Winter Soldier does a very similar thing, but in a very different way. Cap isn’t traumatized, but the Battle of New York and his celebrity has changed the way that he is treated by people – and it’s actually what ends up helping him create a strong bond with Anthony Mackie’s Sam Wilson (a.k.a. Falcon). "Chris Evans actually had a really interesting point," Markus explained while talking about Captain America’s relationship with Sam. "As a famous person, he’ll meet people on the street and if people fawn all over him like, he smiles politely and he can’t get bogged down in that, because you’re only going to talk about one thing. But it’s that second question that is meaningful which would draw him into a conversation." Playing out in the film, Captain America discovers he has a close connection with Sam when they realize that they both have the same trouble sleeping since returning from war: feeling like they are going to sink through the mattress because it is too soft). After that moment their relationship is air-tight. Said Markus, "He thinks, ’Oh, this is a guy who shares a thing. He’s not talking to me just because I’m Captain America, but because I’m a soldier.’"